First there was Plan A. This was to ski tour by the light of the full moon up to a mountain restaurant for dinner and ski down. But Plan A failed because no mountain restaurant was open for dinner. So Plan B, skin up the pistes in front of Style Altitude HQ at around 18.30 and come back for dinner. Epic fail again as the moon did not appear above the mountain until 19.40 by which time I was in my tracky bottoms with a glass of wine. No way was I going out into the freezing night for a ski tour. Also there were numerous piste bashers up the hill. which you don't want to encounter in the dark when they are certainly not expecting to see a couple of ski tourers and Jack Russells. Which brought us to Plan C. Having realised that it was a super blood wolf moon, best seen at around 05.40, it seemed a good idea to get up at 03.00, skin up the pistes by the light of the full moon and come back down for the eclipse. The only issue was, just how high would it be at 03.00 and beyond? Would it have dropped over the top of the north facing slopes we were going to be skinning up? So ok Google where would the moon be? We found a great site that gives exact timings and angles and direction of the moon at any given time but still couldn't work out exactly if it would be visible without factoring in height and angle of the mountain. But amazingly Plan C worked. Except for a couple of piste bashers finishing off at the bottom of the slope by Club Med, we didn't encounter any hazard unless you count numerous snow cannons blasting icy cold snow over our faces. 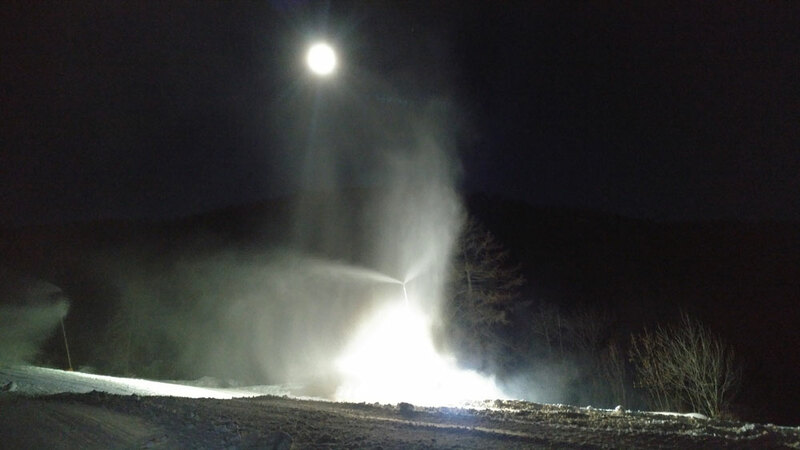 But the snow cannons are lit up so with our head torches and the full moon that was visible throughout our climb and descent, there was more light than you'd expect. But it was also arctic cold, -17C when we transitioned to ski back down so we didn't hang around too long - or take too many pictures which meant taking off gloves and exposing fingers to the freeze. Meanwhile, the Jack Russells hooned around, loving the adventure, their eyes glowing an eery green in our torch light. 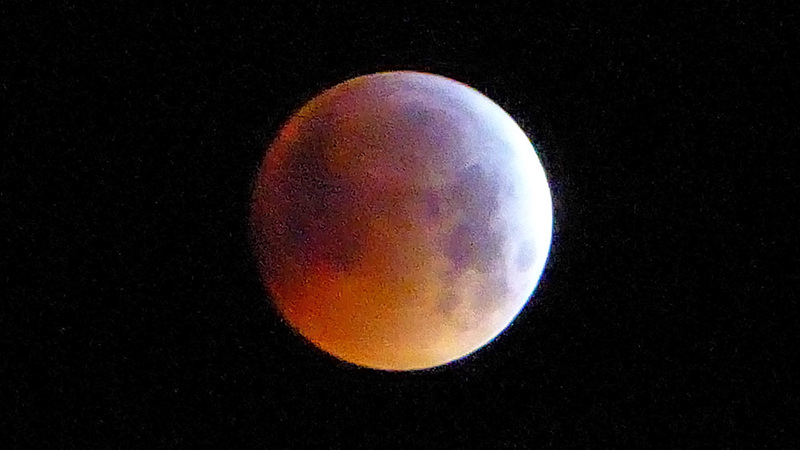 We were back at just after 05.00 watching the eclipse as we skied down until the moon turned blood red while we had mugs of tea sitting on our patio. Then it was back to bed.